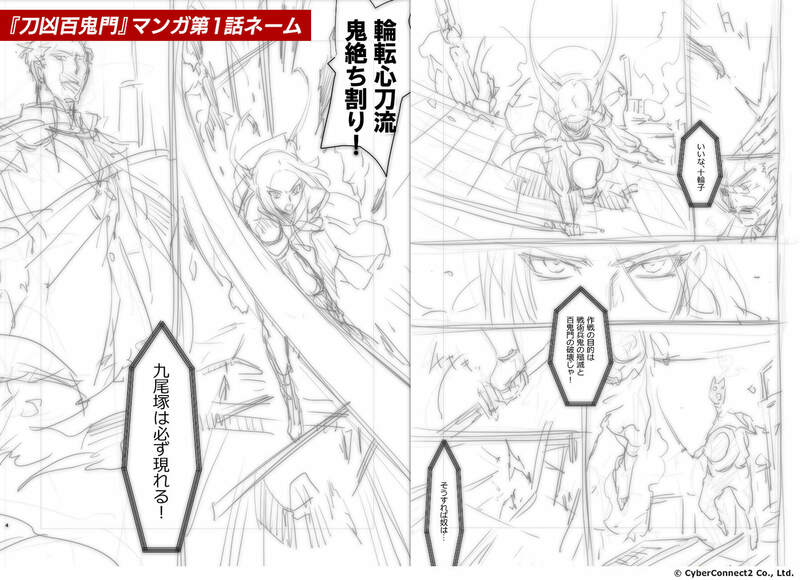 The latest on Fuga, Tokyo Ogre Gate, and Cecile. 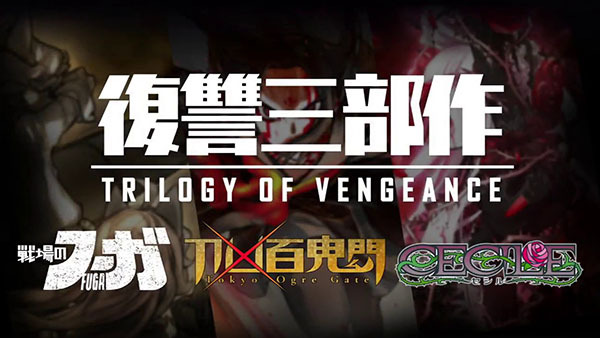 CyberConnect2 has released a video update on its “Trilogy of Vengenace” self-published titles, confirming it will launch all three titles simultaneously worldwide in 2019 for PlayStation 4, Xbox One, Switch, and PC. 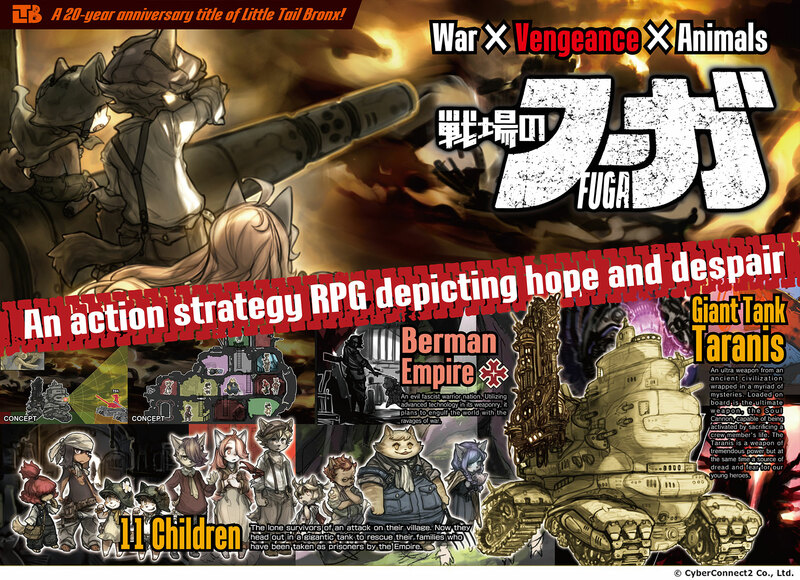 As detailed earlier this week, Little Tail Bronx 20th anniversary title Fuga will be the first title to launch in summer 2019, followed by Tokyo Ogre Gate three months later, and Cecile three months after that. Get the video update and latest set of details below. 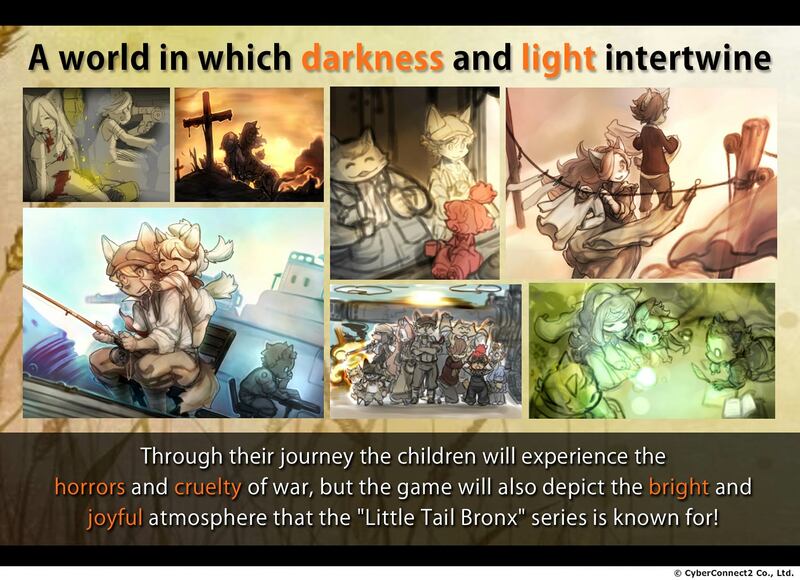 A game celebrating the Little Tail Bronx series’ 20th anniversary, where the fates of children are thrown into chaos by the sudden flames of war. 11 children will take control of a mysterious ancient weapon to fight against an evil army and save their imprisoned families. Deal with the children’s emotions and move them inside the tank to overcome the trials in your way! The Soul Cannon—a powerful weapon used by sacrificing one of the children—might force you to make a dire decision! 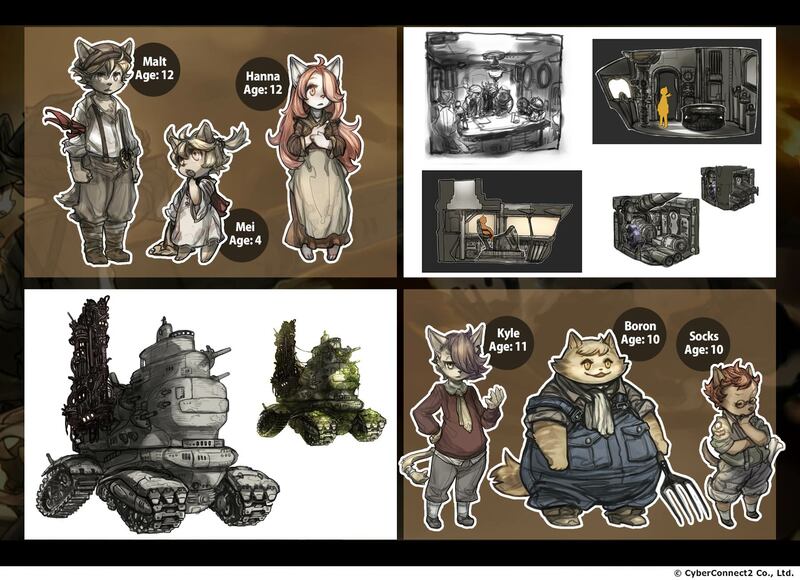 A dramatic, strategic RPG about friendship, grief, hope, and despair. 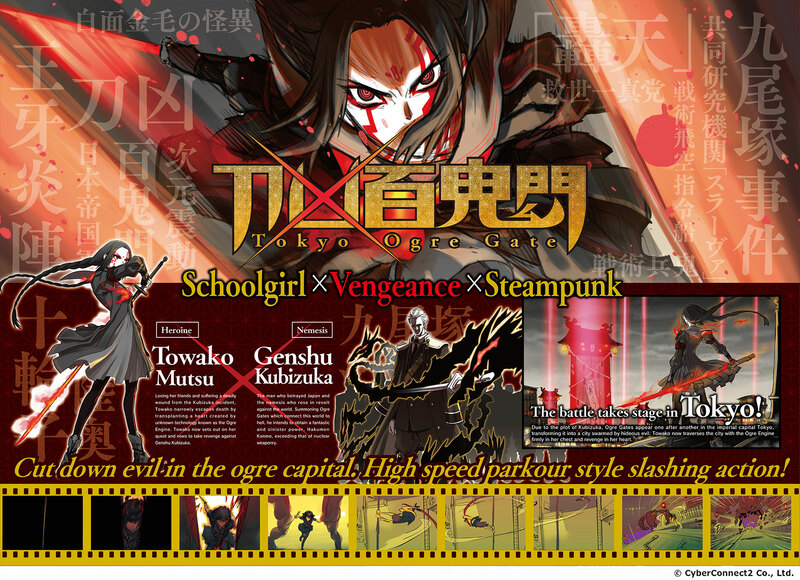 In early 20th century Tokyo, the Tokyo Ogre Gate that connects our world to hell has been opened by Genshu Kubizuka! Towako Mutsu was on the brink of death after her friends were murdered. She survives thanks to the “Ogre Engine,” a mechanical heart made with unknown technology. A high-speed parkour slashing action game. In a dystopian Tokyo infested with ogres, Towako is seeking revenge! The faster you go, the stronger your sword gets! Cut through the toughest enemies with a single strike, dance in the night, defeat the ogres, and destroy the Ogre Gates! 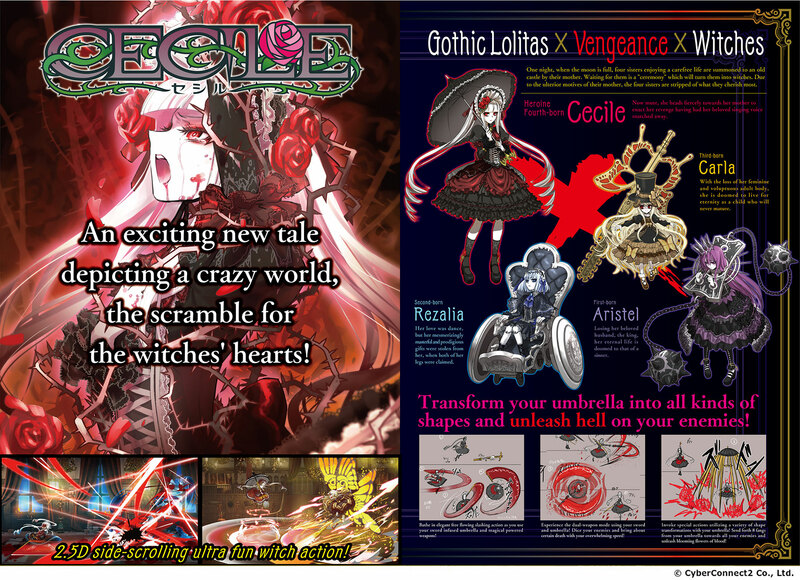 A 2.5D side-scrolling umbrella action game featuring gothic lolitas, vengeance, and witches. This bloody tale revolves around four witch sisters trying to rip out each others’ hearts. Use the Demon Umbrella that changes shape when bathed in blood to rip apart the foes standing before you. You won’t have time to rest when fighting through this horrific boss rush action game.